I took my first trip to England earlier this fall to get started on my PhD in New Testament at the University of Gloucestershire. I flew into London and was hosted by my friends, the Evans, for a night. 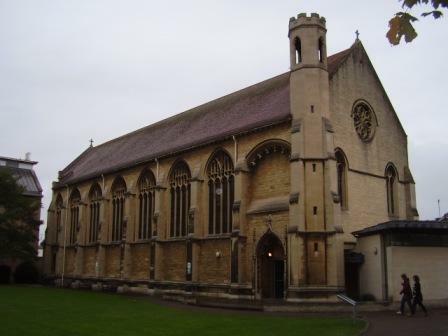 After worship at South Hanwell Baptist the next morning, I took a train to Cheltenham, where the University is based. The train ride gave me a chance to see a lot of the picturesque west England countryside. 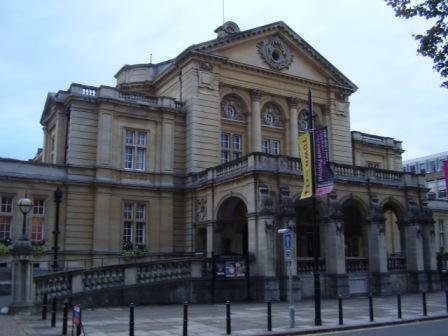 I spent a week in Cheltenham taking care of administrative details and doing some intensive supervision sessions with my teacher, Prof. Andrew Lincoln. At the end of the week, I took the train back to London for one more stay at the Evans’ home before flying out the next day. I was able to get some sightseeing in that evening guided by my friend Allan. London at night is quite impressive; I look forward to going back and spending more time there. Here are a few pics from the trip. This is the view as you come through the main gate of the University’s Francis Close Hall campus. And this is the chapel on the Francis Close Hall campus. Thanks Daniel. It was indeed beautiful and stimulating in spiritual and academic ways. 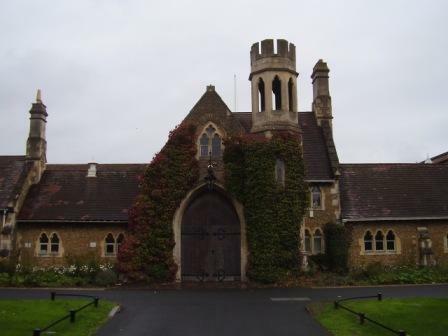 Gloucestershire is one of several UK schools with “limited residency” requirements. The British PhD is research only and requires no coursework. Technology now allows students to access resources remotely. So, the work can be done from a distance. I chose this option because I didn't want to leave the pastorate during the years it would take to complete the degree. Thanks for sharing this Matt. It's wonderful.